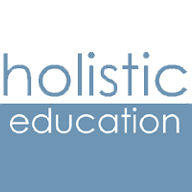 Holisitic Education is a community interst company dedicated to providing quality training in mindfulness to enhance the well-being of all those in the community, including those working in educational settings. Mindfulness is a way of intentionally paying attention to events in the present moment with an attitude of openess, flexibility and non-judgement. Holistic Education offers evidence-based mindfulness training for participants from a wide range of backgrounds and living or working in different contexts. Research shows that regularly practicing mindfulness can improve mental health and well-being and resilience to stress. Mindfulness for adults, including parents and carers can also help improve health, wellbeing and resilience to stress. Click here for more information about meetups, courses and practice days. Holistic Education offers Mindfulness Meet Up sessions and the well-researched Mindfulness-based Stress Reduction Course for beginners and Mindfulness Practice Days for those with more experience. Mindfulness for school staff can reduce staff stress and burnout, leading to less days off work and less feeling of being under pressure from too much to do and too little time. Regular practice can improve coping skills, motivation, planning and problem solving and taking more time to relax. Click here for more information about mindfulness in schools. Holistic Education offers a 90-minute Twilight INSET training – an introduction to mindfulness – and the “.b Foundations” course for school staff. 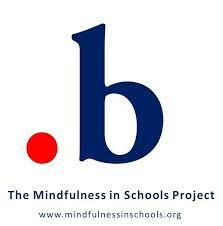 .b (“dot b”) is a mindfulness course for secondary school students. Mindfulness for children and young people has many benefits. Holistic Education offers the “.b” course for young people at secondary school and “paws .b” for children at primary school. There are also specialised courses for those with special educational needs. For more information see the Mindfulness-based Awareness Training course and the MyMind Course.